Mike Tyson was born on June 30, 1966 at Brooklyn, New York City. He was raised in a neighborhood that was famous for its notoriously high crime levels. At the age of 10, he had to move with his mother to the Brownsville neighborhood as they were not able to meet their daily expenses. 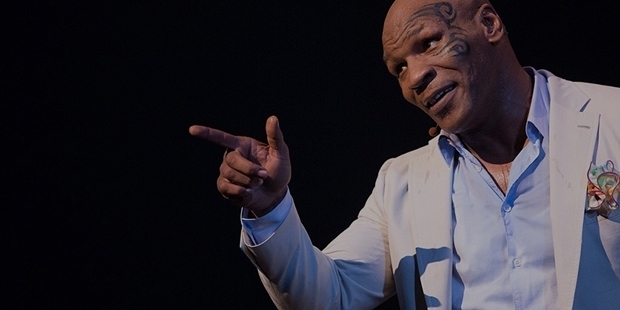 Tyson was always in bad company, joining street gangs in committing petty crimes and thefts. 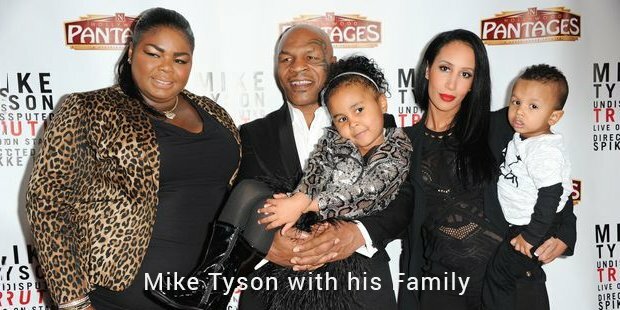 By the age of 13, Tyson had already been arrested 38 times and was sent to the juvenile home in Johnstown called Tryson School for Boys. His talent was first noted by detention centre counselor Bobby Stewart. He trained him for a few months and after seeing his immense potential, introduced him to seasoned trainer Cus D’Amato. Tyson’s first success was the winning of the 1981 and 1982 Junior Olympic Games. In March 1985, he turned professional when he was just 18 years old. In his first 28 fights, Tyson was able to win 26 of them by Knockout or TKO. Soon Tyson was in the centre of media attention for his high intensity punches by which opponents were knocked out in the first few rounds itself. In his first televised fight, he beat Jesse Ferguson by a knockout in the 6th round. Next he got a chance to fight for the WBC Heavyweight Title against Trevor Berbick. He created history when he became the youngest Heavyweight Champion in history at the age of 20 years and 4 months when he beat his opponent in a 2nd round TKO (Technical Knockout). He won the World Boxing Association (WBA) Title by beating James Smith by a unanimous decision in March 1987. He next added the International Boxing Federation (IBF) Title by beating Tony Tucker with a knockout in the 6th round. He had become the first heavyweight boxer to hold all the three major titles: WBA, WBA and IBF. Now his record stood at 31 wins and no losses. 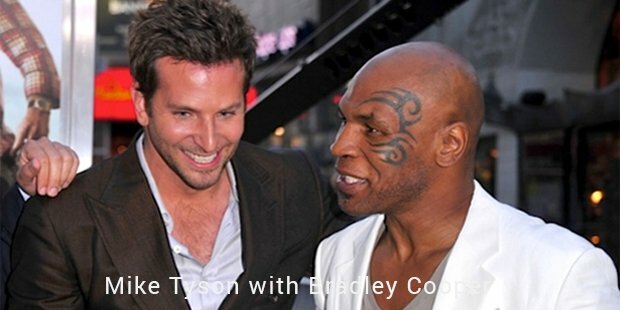 Tyson had become a media favorite and soon became recognised throughout the world. In 1988, Tyson beat Michael Spinks by knockout in 91 seconds itself becoming the Lineal champion. But the first defeat of his career came in 1990 against Buster Douglas by knockout in the 10th round. But Tyson bounced back after this defeat to set up a fight against Evander Holyfield in the autumn of 1991. But Tyson was sent to jail for 3 years and came back to boxing in the end of 1995. In 1996, he was up against Peter McNeeley in his first fight after 4 years. He went on to win the bout by knockout in just 89 seconds. This fight was purchased in more than 1.51 million homes, raising revenue of $63 million. Next he went on win the WBC title from Frank Bruno in March 1996. He also won the WBA title by beating Bruce Sheldon in the first round itself. In November 1996 he lost to Holyfield by TKO in the 11th round. There was a rematch in June 1997 which Tyson lost as a result of disqualification. The second fight between Tyson and Holyfield grossed more than $100 million with more than 2 million PPV subscribers. Tyson received $30 million from that fight. Next he fought Lennox Lewis who held the WBC, IBF and Lineal titles at that time. The fight grossed more than $105 million with 2 million PPV subscriptions making it the most watched fight in history at that time. Unfortunately Tyson was knocked out in the 8th round itself. Inspite of being in and out of trouble, Tyson has been one of the most dominating boxers of his generation. His career earnings have exceeded $300 million. He has been named as No.1 in the list of hardest hitters in heavyweight history by ESPN.com. He was inducted into the International Boxing Hall of Fame in 2011. He has been one of the most popular athletes in the last 50 years with millions of followers around the world.